Now in its third year, T.H.E. 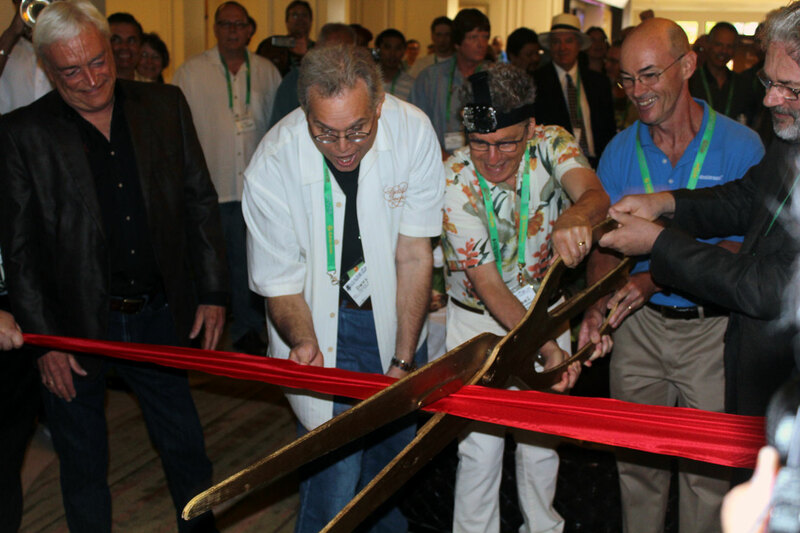 show at Newport Beach has grown faster than any other U.S. consumer audio show in the past decade that I can remember. With all available rooms and exhibitor space fully booked in both the Hilton and the adjacent Atrium hotel, it would have been an impossible task for me to adequately provide complete coverage without going nuts, so I’ll concentrate on my favorite sounding rooms. 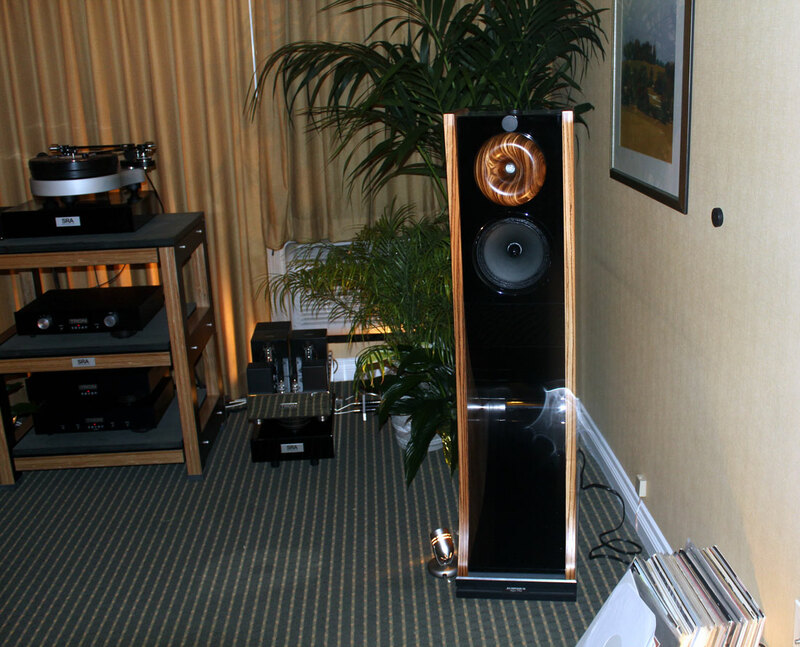 Besides, the totality of formal and informal coverage of this show by the audiophile press and attendees should satisfy even the most inquisitive minds yearning for the latest and greatest in audio gear. 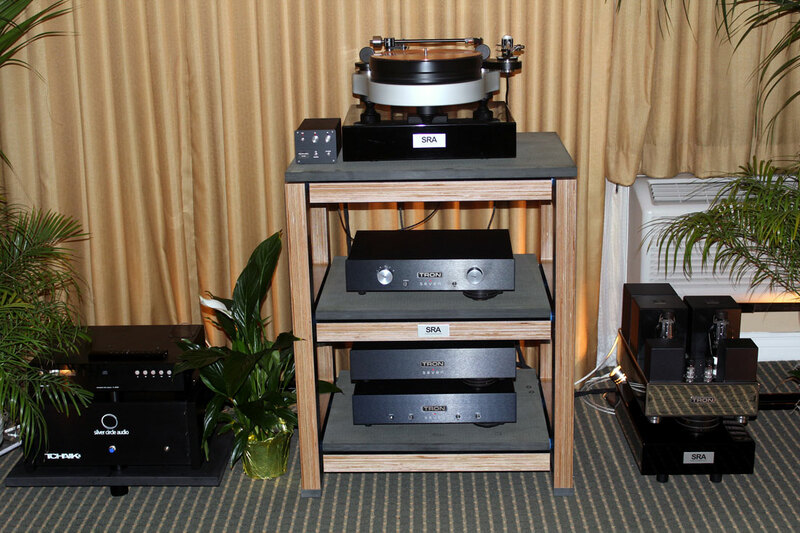 High Water Sound – Jeffrey Catalano assembled a super sounding system for this show. The lineup included all Tron-Electric amplification (Seven GT Line stage, Seven GT stereo and mono phono stages, Discovery GT SE 300B amp), Cessaro Horn Acoustics Chopin loudspeakers, TW-Acustic GTS turntable and 10.5 tone arm, and Pure Sound A-8000 CD player (though I doubt it was used much if at all during the show). All electronics were sitting on SRA platforms and stands. High Fidelity CT-1 interconnects and speaker cables, as well as TelWire power cords were used for the electrons to travel to and fro among the components. Jeffrey played for me a vinyl recording of Tony Bennett singing in a night club. I could sense the smoke filled room, as if I was breathing in second hand smoke. Cough, cough. The sound was exquisitely transparent and Mr. Bennett’s presence was very palpable. Very nicely done! It was great to hear an excellent recording other than Stevie Ray Vaughn, Patricia Barber, Diana Krall, Nils Lofgren or some other played-to-death show material. I have nothing against these artists but there is a lot of great music that’s not being heard at shows. That’s why I always bring my own demo CDs. A congratulations on your Paul Mah New Port show coverage, good stuff. Paul’s savory writing and crisp similies give his review the texture of a tasty taco; audio prose taken to another level of transparency. Equipment is not the only path to ‘lifting the veil’ from the listening experience. Smart move, Dagogo: you’ve got a live one online! Thanks for the well written, down to earth coverage for us folks who couldn’t be there! Thanks Paul for the interesting and informative show report. It is refreshing that you tended to like the less-than-over-the-top expensive systems. Though I’m a vinyl/SS/aluminum baffle guy, I enjoyed your comments about tube based electronics and cone-in-wooden-box speakers. Nice report. Fun read Paul, very entertaining. Thanks Fred. Which reminds me to make preparations for this year’s show since it’s almost around the corner.